Trippie Redd & Travis Scott Join Forces For "Dark Knight Dummo"
Home>New Songs>Trippie Redd Songs> Trippie Redd & Travis Scott Join Forces For "Dark Knight Dummo"
Trippe Redd and Travis Scott link up for a new collaboration. Whether you love him or hate him, you can't deny that Trippe Redd has been having a phenomenal come-up year. 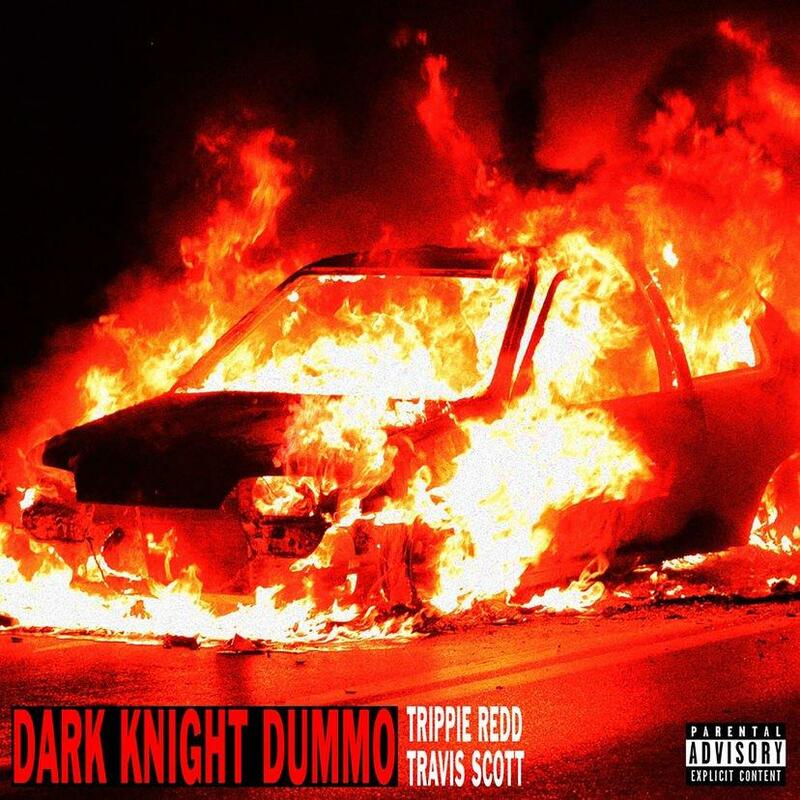 Not only has the young artist secured co-signs from Drake, Lil Wayne, and Diplo, but he's also managed to secure a collaboration with Travis Scott called "Dark Knight Dummo." As of now, the song appears to be available in select international markets only, but that means it will be dropping worldwide sooner than later. In the mean time, you can check it out through certain unconventional channels, or check out the snippet here. The track features brash production from Da Honorable C-Note, and Trippie Redd sets things off with some strange bars, rapping "I feel like Bono, I'll chop off your arms." Travis Scott picks up where Redd left off, continuing the pattern of slow flow and heavy ad-libs. This one is more focused on vibe than lyricism, and the end result is a frantic, catastrophic blend of melodic chaos. Not for everybody, but those who enjoy this style will no doubt find much to love about "Dark Knight Dummo." Mase Grabs Diddy & DJ Khaled On New Single "Rap Rushmore"
Mr. Hudson Enlists Vic Mensa For "Coldplay"
SONGS Trippie Redd & Travis Scott Join Forces For "Dark Knight Dummo"